I don’t believe in the hard sell. I don’t believe in high pressure, convincing or trying to persuade someone to join your team and/or buy your products. As a network marketing professional, you don’t need to sell anyone. Instead, your job is to sift and sort through your prospects and identify people who want to work with you (and you want to work with them). I’ve learned that when you use high pressure tactics, people will quit just as fast as they join your team. Some people will join just to get you “off their back” and then within a day or two they will have buyer’s remorse and quit. To succeed in MLM, you need to follow a different approach. I think the best strategy is to sift and sort your MLM Prospects. This is the process of exposing your business to lots of people, and to work with the people who are interested in working with you and your team. This is a much better strategy that trying to pressure everyone you meet to join your team. Sure, you might sponsor less people following this approach, but you will sponsor better quality people. The best way to sift and sort your MLM Prospects is to ask questions and listen. Find out what they are looking for in life (or in a business) and see if the business is a good fit for them. If they aren’t interested in the business, find out if they are a good fit for the products. Why do you want to own your own home based business? What is the ideal business for you? How much time could you commit to working a business each week? 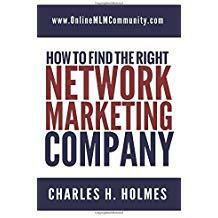 What do you know about network marketing? What do you know about XYZ company? After you ask these questions, be quiet and listen. Most folks will “disqualify” themselves right away and good prospects will “qualify” themselves right away. You just have to work the numbers to succeed. Do you currently purchase (weight loss, beauty, etc.) products at the store? If yes, what do you like about those products? Are you concerned about your health? Once again, after you ask these questions, just be quiet and listen. This is the process I use to sift and sort through my MLM Prospects and find interested people. I personally believe the days of using high pressure and hard selling tactics are over. What do you think? Leave a comment below to share your thoughts. *** This is part of a mini-series. Read the original Mark Yarnell post. Another thing too Chuck….If our product, service, or opportunity is great enough, it will sell itself. Just showing the item, explaining the benefits, and telling the price should be enough. If the prospect respects and likes us, and the item is to their liking, they will buy. When people “hard-sell” the prospect may buy, but they may cancel it soon after when they realize how we sold them. They also will probably not buy anything from us ever again. Work the numbers and the numbers will work out themselves. Chuck, this post was dead on! High pressure died with the movie, “The Rainman”. I totally agree with asking questions that will delve deeper; but you hit the nail on the head when you said to listen. We need to hear what the prospect is saying, and also what they are not saying. It takes a little psychology to do this, but it doesn’t mean you have to take a psych course. It just takes common sense psychology. Hopefully people will read this and get a good understanding. It will help us all if people drop the hard sell techniques. Ask questions and listen and you can’t really go wrong.